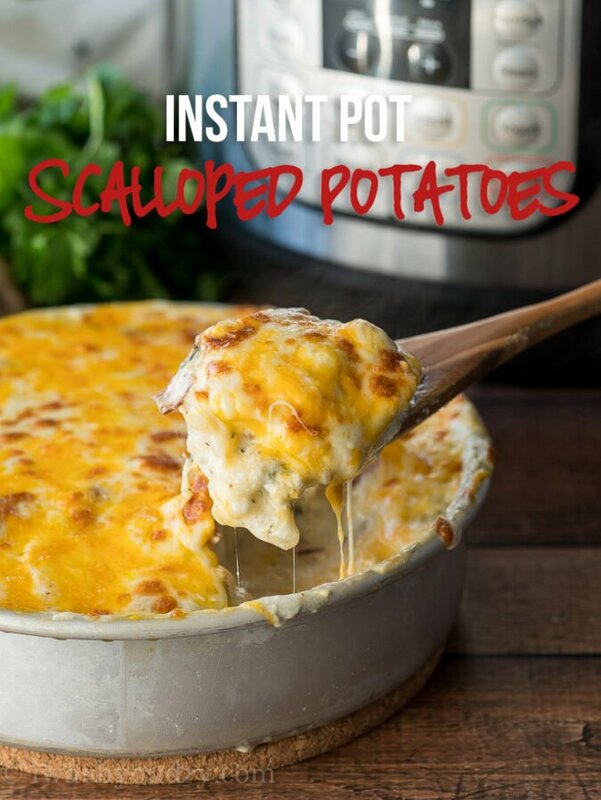 Infused with garlic and oh-so-creamy, these Instant Pot Scalloped Potatoes are definitely an irresistible side dish, or even a main dish! I LOVE my Instant Pot! I know some people have love and hate relationship with it. And I’ll admit, I had that in the beginning too. But the more I used it, more I fell in love with it. 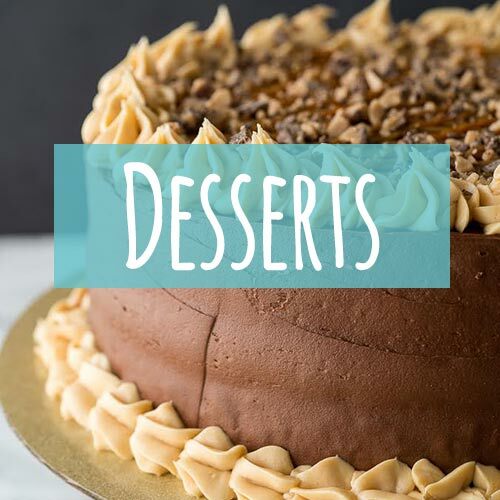 If you’re coming to this recipe from a video you saw on Facebook, just know that this recipe has been improved and updated for optimal results. 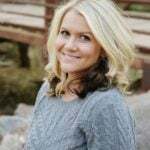 Some of my go-to Instant Pot recipes are chicken or beef broth, chili, stew, and meatball pasta. And I slowly continue to convert my regular favorites into Instant Pot friendly versions. It’s so fun and so convenient. And as I mentioned earlier, it’s not always a smooth road, but I’m telling ya, it’s totally worth it! Today, I’m sharing with you my latest favorite Instant Pot win: creamy garlic scalloped potatoes. 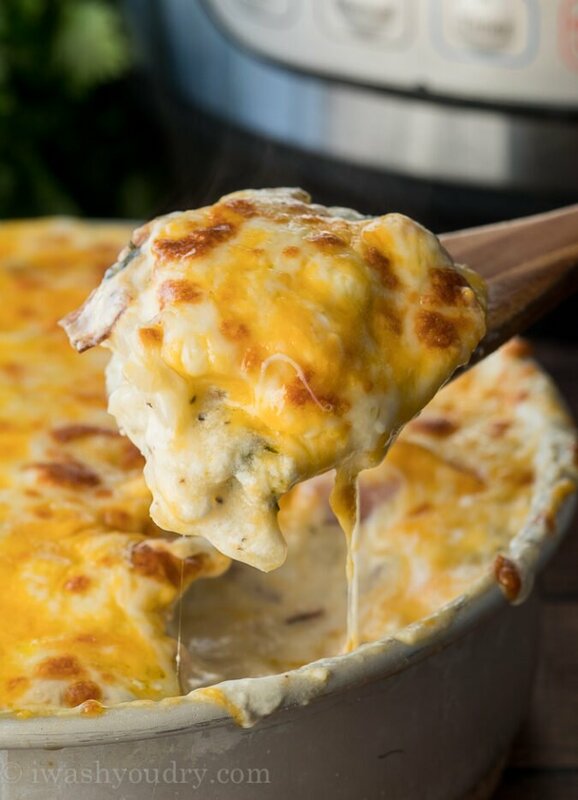 So creamy, cheesy and infused with garlic in every single bite! Instead of pressing the garlic, as I usually do, I opted to grate them on a microplane zester into super fine garlic mush. You won’t be biting into any garlic pieces, and you’ll definitely taste the wonderful garlic flavor. Hope you love garlic!! Unlike my classic version, I also threw in some ham, because scalloped potatoes are so much better with ham, right? And I highly recommend getting thinly sliced deli ham, so you can layer them in between the potatoes slices. 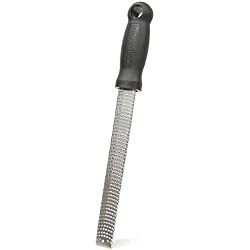 And speaking of sliced potatoes… Do your best to cut the potatoes as thin as you can. 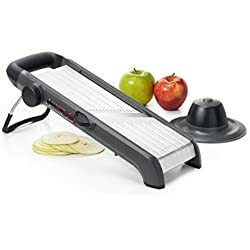 Or if you have a Mandoline slicer, use it. Too thick of potatoes may not cook evenly. 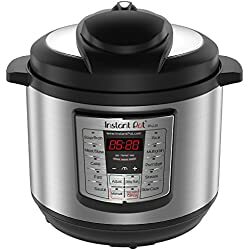 Why Wont My Instant Pot Come To Pressure? This recipe calls for a creamy, thick sauce that coats the potatoes. Because of the nature of pressure cooking, sauces that are too thick will end up scorching on the bottom and not allow the liquid to boil enough to create that steam needed to pressurize the pot. The best solution for this is to cook your thicker sauces inside a dish, resting on top of the trivet with the water underneath. 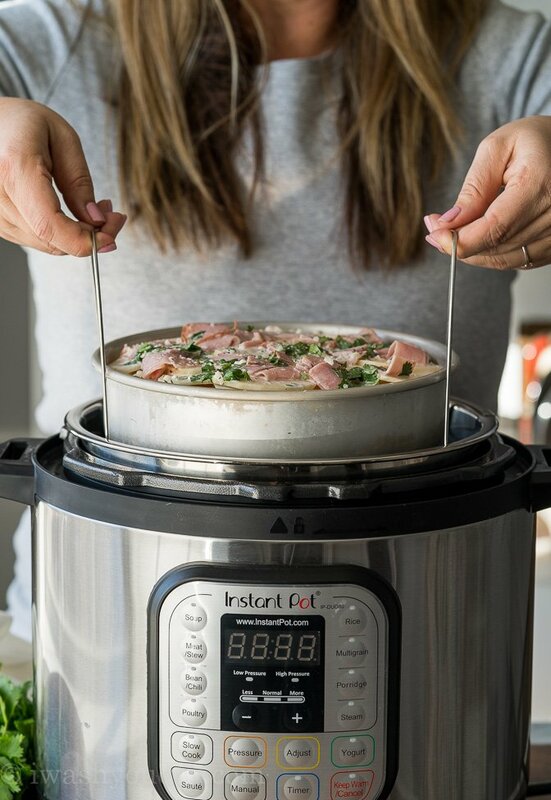 This will allow your instant pot to come to pressure efficiently and your potatoes will be tender without a huge mess on the bottom of your pot. I use my 8 inch round cake pan that is about 2 inches high on the sides and it fit perfectly inside my 8 quart Instant Pot. If you have a smaller Instant Pot, you’ll want to use a 7 inch round, with 3 inch sides. You can find one here on Amazon for pretty cheap. 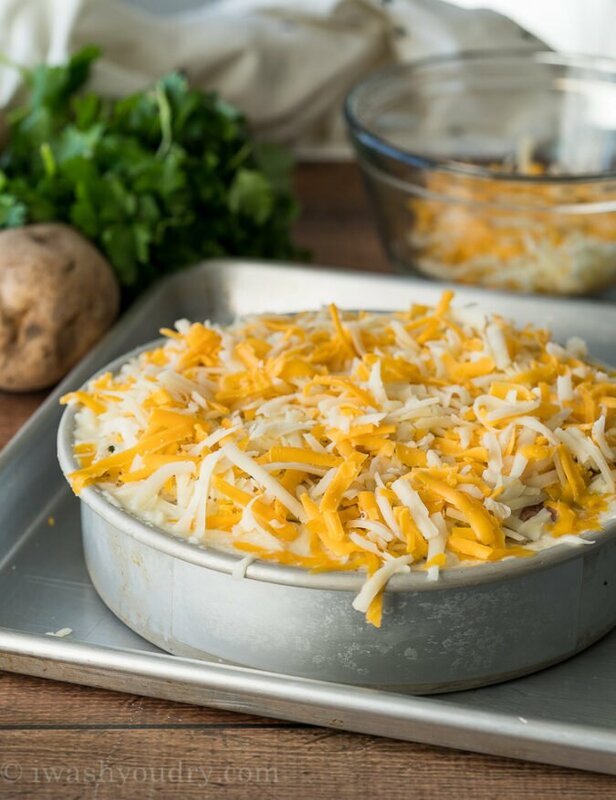 Once the potatoes are tender, you’ll pull the pan out of the Instant Pot and place it on a baking sheet then top with the remaining cheese. Pop it under the broiler to get a nice and golden brown crust! Let the potatoes cool slightly before digging in. 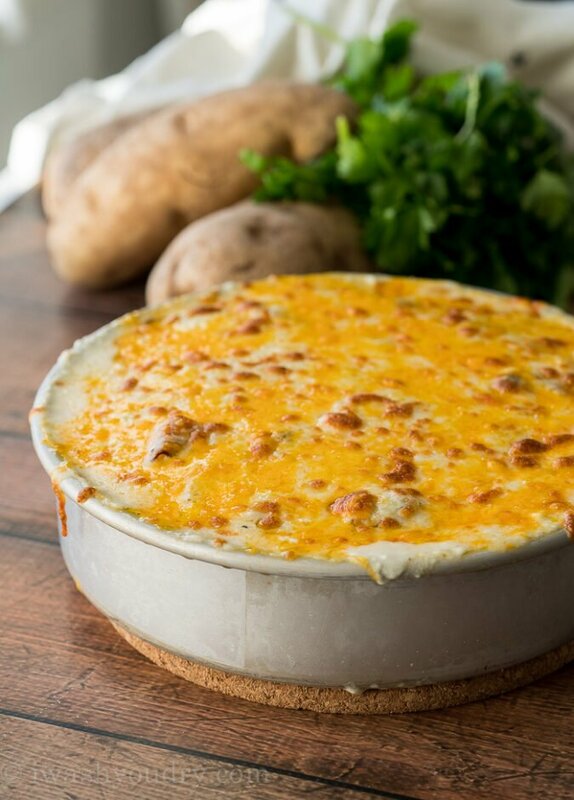 This will allow the creamy sauce to thicken just a little more and you’ll be left with some deliciously cheesy scalloped potatoes! I’m sure you’re going to LOVE these deliciously cheesy potatoes with this new and improved recipe. The flavor is dreamy! 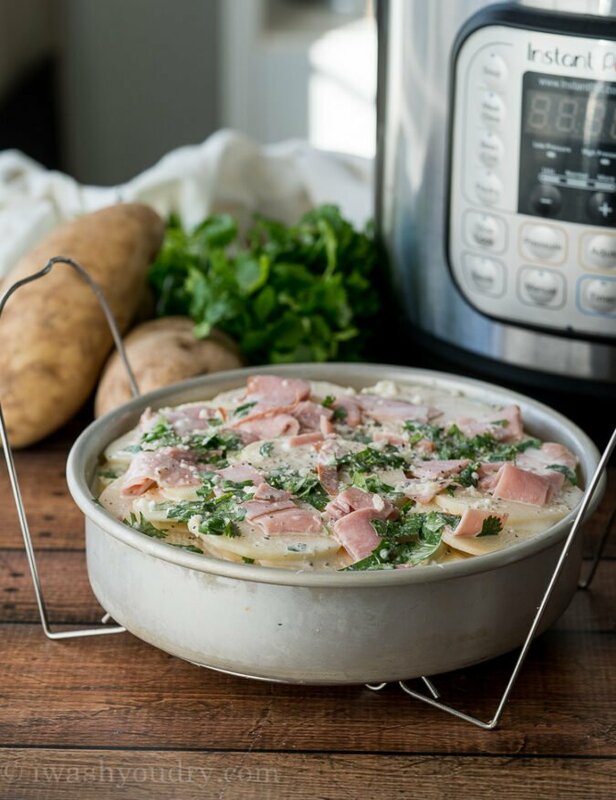 Infused with garlic and oh-so-creamy these Instant Pot Scalloped Potatoes are definitely an irresistible side dish, or even a main dish! Thinly slice the potatoes and cut the ham into small squares. In a medium bowl whisk together the heavy cream, milk, garlic, flour, salt, black pepper and cilantro. Spray a round pan that can easily fit inside your pressure cooker (I used 8″ round with 2″ high sides) with non stick spray. Layer half of the potatoes and ham in the round pan, followed by half of the cheese. Pour half of the liquid over the top. Repeat with the rest of the potatoes, ham and liquid, reserving the remaining cheese for later. Pour 1 1/2 cups of water into the liner of your pressure cooker and place the round pan on top of your trivet. Carefully lower your pan down into the liner of your pressure cooker. Close the lid and ensure the pressure release valve is closed as well. Cook on HIGH pressure for 25 minutes, followed by a QUICK RELEASE of the pressure. Carefully pull the pan out by the trivet handles and place pan on a baking sheet. 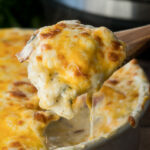 Top with the remaining cheese and place under the broiler in your oven for 3 minutes. (Or if you don’t want to turn on your oven you can just leave the potatoes in the pressure cooker, top with cheese and cover for 5 minutes before removing from liner). Let the potatoes sit for about 5 minutes before serving. Enjoy! 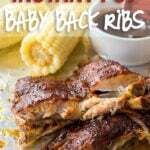 * This recipe has been updated as of 12/21/2017 for optimal results. 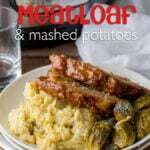 I can’t wait to try this it just sounds wonderful-simple & yummie ! But my question is, can I use a soufflé dish ?? I always have this trouble with scalloped potatoes. They come out curdled. 🙁 The flavor was fine but the curdled sauce is a turn off. The trick is to let the scalloped potatoes sit for a few minutes and the sauce will thicken and be perfect! 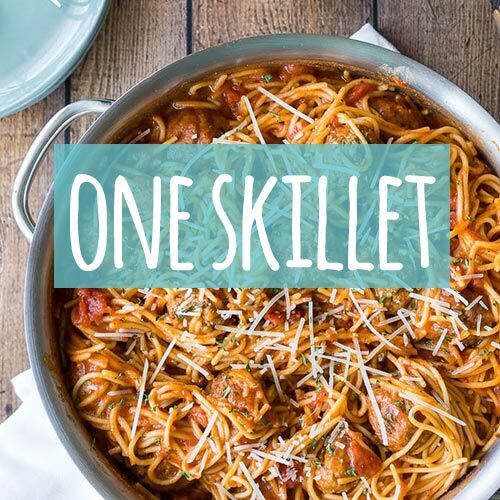 Can I double the recipe and use the 2 double stacked pans with trivet (bought via the link on this site)? Do I increase the water? Increase the time? HELP! Making double portions for the holiday and out of time to experiment. This is the first time I have used pan insert. It has a removable bottom and 1/3 of the liquid leaked out before I could stop it. Suggestions: substitute crisp bacon for ham, maybe add chopped onions, jalapeños, or olives for more flavor. Also cook 5 min longer. Any idea on what the temperature should be when it’s done? I know that the perfect baked potato needs to be 204 degrees. That’s probably a little too well done for this dish, but I have a kid with gut issues, and he can’t have half-cooked potatoes. I cooked it for the 25 minutes, and it wasn’t even up to 150. So, I put it back in for another 10, and not even up to 165. After another 15 minutes, it got to about 180, and I was too hungry to wait much longer. The slices still felt a little too firm. Also, it seemed rather watery. I’ll probably make this again because it tastes delicious, but it’ll probably be one of those things that I make the day before, refrigerate it, and reheat it the next day. I was in a pinch the day before grocery day. So I made “favorite chicken” (chicken with a can of mushroom soup and some spices baked in the oven) and these potatoes but we had no milk and also due to ice cream no cream. Haha so I used the original ingredient meant to make ice cream with a can of coconut milk and the cream from that worked well to replace the milk and some cream. I just used less potatoes. Thought I would share. It wasn’t as good as the original but hey sometimes you just got to roll….Am I right? *in rating this recipe I am rating the original and not my substitutions. 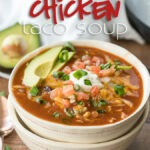 I can’t tell you how tickled I am to find your awesome recipe! OMGosh, these are the best scalloped potatoes ever. I have not been happy at all with potato recipes in the instant pot. Just way too ‘watery’ & mushy textured for my tastes, so I’ve just about given up. Problem solved, yay!!!! I just recently got a set of the stackable pans, so am just getting into the pot-in-pot thing. Thanks so very much for spending the time working out & improving your original recipe & sharing. So easy & perfectly textured potatoes YUM! So grateful to you for this recipe, thank you! If I cut the recipe in half, do I change the cook time?